Herbert Leslie Stewart was born in County Antrim, Ireland, on 31 March 1882 and was raised in Carrickfergus, near Belfast. He received his MA (1905) and PhD (1907) degrees from Lincoln College, Oxford, where he was awarded the John Locke Scholarship in Mental Philosophy. 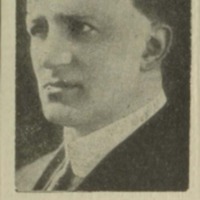 Stewart later took up the Cobb Scholarship at Edinburgh University, taking classes in Divinity, followed by a junior fellowship in Mental and Moral Science at the Royal University of Ireland and then a lectureship in Moral Philosophy and the History of Philosophy at Queen’s University, Belfast. 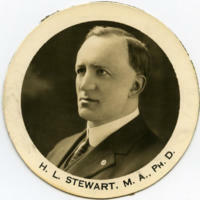 In 1913 Stewart was appointed George Munro Professor of Philosophy and Head of the Department of Philosophy at Dalhousie University in Halifax. He continued to teach after his retirement in 1947 and was appointed Professor Emeritus in 1951. 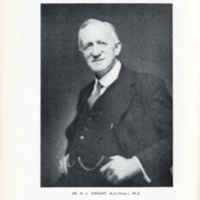 In 1921 Stewart founded The Dalhousie Review and remained its editor for 26 years, overseeing its development into an internationally-recognized interdisciplinary quarterly and frequently contributing articles on contemporary issues. He was elected a fellow of The Royal Society of Canada in 1921 and of The Royal Society for the Arts in Britain. 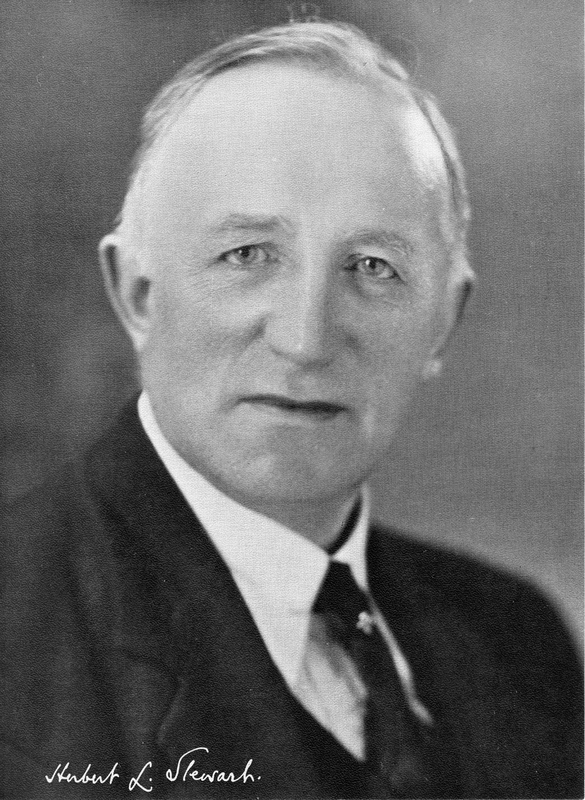 He served as President of the Halifax Charitable Irish Society and also presided over the Halifax branch of the Overseas League. He died on 19 September 1953. Stewart published many articles in scholarly and popular journals across North America and Europe and was a frequent contributor to newspapers, magazines and radio. 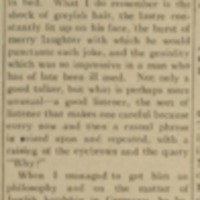 Stewart wrote a an anonymously penned column, "Man About Town," for the Halifax Evening Mail and was a regular columnist for the Halifax Herald. 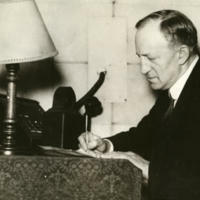 He also made weekly radio broadcasts for CHNS and provided a Sunday-night commentary on world affairs for the Canadian Radio Broadcasting Corporation. 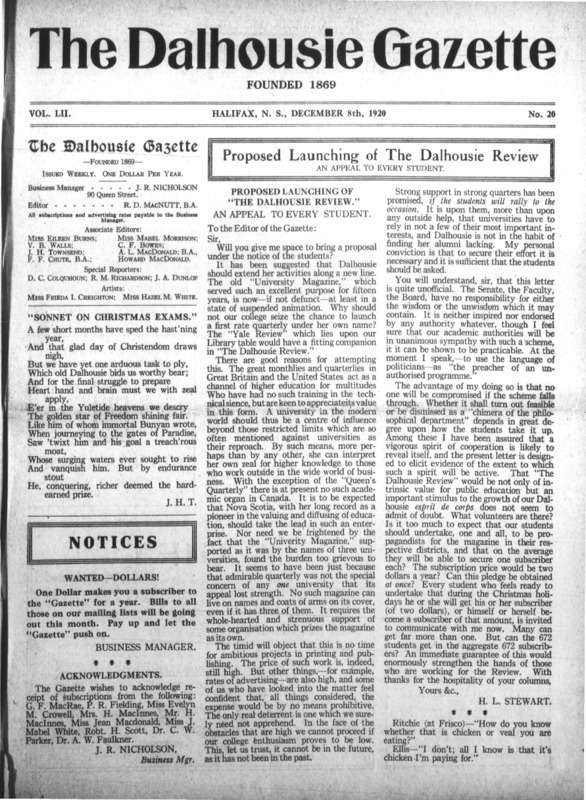 H. L. Stewart published an appeal in the December 9, 1920 issue Dalhousie Gazette, asking students to support the proposed Dalhousie Review. 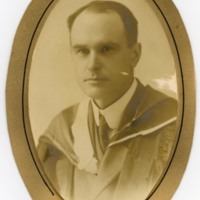 In 1921 Herbert Leslie Stewart founded The Dalhousie Review and remained its editor for 26 years, overseeing its development into an internationally-recognized interdisciplinary quarterly and frequently contributing articles on contemporary issues. Stewart's own contributions to the journal can be found on Dalspace. Stewart wanted to situate The Dalhousie Review between the specialized scholarly journal and the popular press. 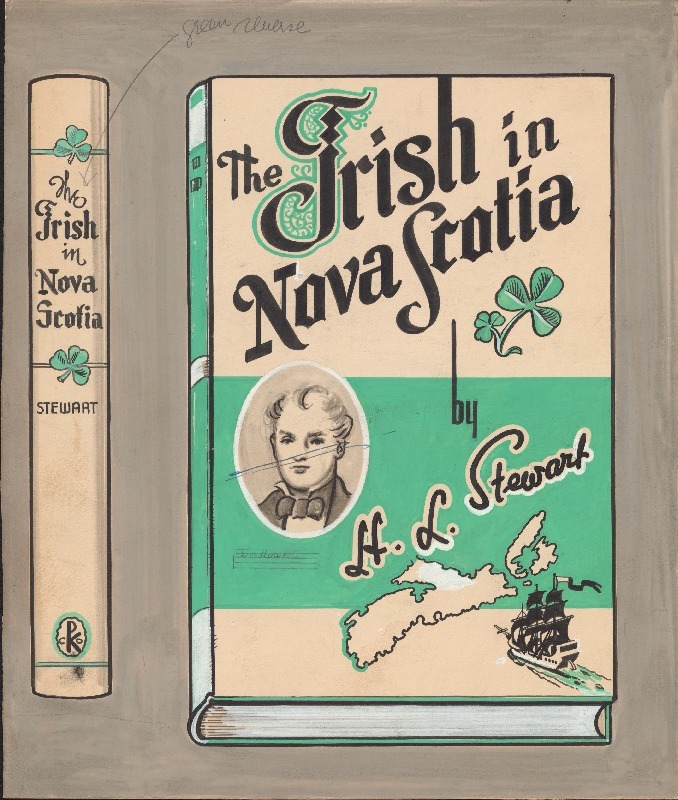 The names of many notable individuals appeared in its pages, including Archibald MacMechan, R. MacGregor Dawson, Sir Robert Borden, Duncan Campbell Scott, and Eliza Ritchie. From 1948-1995, the journal underwent a variety of transformations, including the practice of printing works of short fiction alongside discursive articles and poetry. Because of financial difficulties, the Faculty of Arts and Social Sciences took charge of the journal in 1997. The journal transitioned from being published quarterly to appearing three times a year. Since 2010 the editorial focus has shifted to publishing primarily short fiction and poetry, and during this time stories published in The Dalhousie Review have regularly appeared in The Journey Prize Anthology and twice won the prestigious Journey Prize itself. In recent years, editors have guided the journal's development towards an online presence and open access publishing. 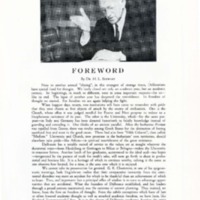 Digital copies of the Dalhousie Review from 1921-2011 are available on Dalspace.